The Florida Brewers Guild conference and trade show will be held August 5-7, 2019 in Orlando, Florida. The Florida Brewers Conference will provide brewery personnel and industry trades with a high quality educational experience, plus an opportunity to network and share delicious Florida craft beers during the two-day trade show. Once again, the Florida Brewers Guild will offer a sensory course as an additional component to our conference. We will cover a multitude of aromas found in beer, not just limited to off-flavors! Covering twenty (possibly more) flavors, split between commonly encountered off-flavors and positive attributes. We will look at each aroma's origins in beer, and then wrap up the course with practical application of the information we have covered (how to troubleshoot, setting up a panel at a brewery, general considerations for conducting/maintaining a panel). This course requires additional registration. The training will be held on Monday, August 5th. Details will be released soon. The 2019 conference will return to the Renaissance Orlando at SeaWorld. 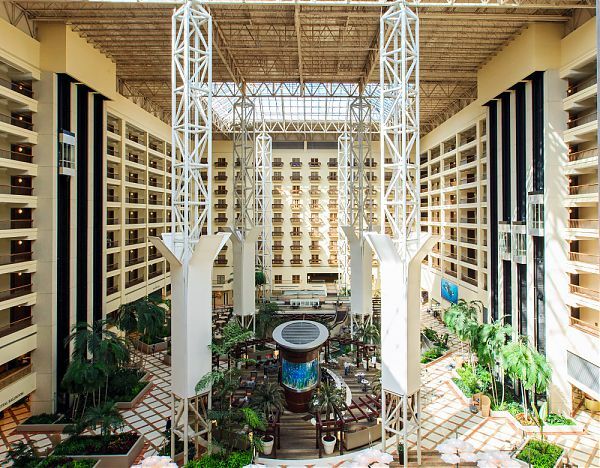 Located directly across the street from SeaWorld, and close by to Walt Disney World, Universal Studios and Discovery Cove, this resort hotel in Orlando will be our home for the conference, as well as providing a great place for those who want to bring their families along for a vacation. Sponsoring or advertising at the Florida Brewers Conference will provide your company with an increased level of exposure in front of brewery owners, managers, brewers and other industry leaders. Opportunities at all levels are available. (NOTE: Sponsorship availability subject to change. Please contact the organizer if you have any questions). Breakout Sessions are the heart of the Florida Brewers Conference programming. We invite industry professionals and anyone with a passion for the brewing industry to share that passion through a conference breakout session. Speaker: One or more presenters speaking on one topic, audience Q&A optional. Sessions are 45-55 minutes. Panel: Multiple speakers discussing relevant brewery industry topics, audience Q&A optional. Workshop: Interactive session focused on a specific skill or series of skills for the brewing industry. Audience Q&A included. Advise if their presentation includes a product or products for sale. Identify audio-visual and Internet availability needs. Provide their own hard copies of materials to be distributed if not using an electronic means of distribution. Digital and electronic copies are preferred. Provide any other materials necessary to make their presentation. If selected, presenters will receive one (1) registration for the full conference. Travel and lodging will NOT be covered. The Florida Brewers Guild board of directors will make the final decision on all presenters and topics. Please click here to complete the online form to submit proposals. Thank you to our sponsors! We could not do this without you!